← How much debt do I need to have to file Chapter 7 in Ohio? Bankruptcy is an efficient way to eliminate debts once and for all. But unlike most debts, student loans are very difficult to discharge. This fact may come as a surprise, considering student loans are the number two cause of debilitating debt. Mortgage debt is the only expense that causes more financial hardship that student loans. Collectively, Americans owe more than half a trillion dollars in student loans. Why are student loans different? Bankruptcy offers relief for credit card and mortgage debt. Student loans are debts too, so why are they generally excluded from bankruptcy? One opinion is that the exception keeps college students from abusing student loan lenders. The belief is that students will obtain excessive loans with no intentions of repaying the debt. It’s true that bankruptcy generally provides limited help with student loans, But Columbus bankruptcy attorneys know there are some situations in which bankruptcy does discharge student loans. Consider the following if you’re struggling with student loans and considering bankruptcy. Financial hardship is one claim that can possibly get student loans discharged in bankruptcy. You must prove financial hardship by passing the Brunner Test. This test determines your level of hardship. It determines whether you can get your student loans discharged. The results must show that repaying your loans is too much of a burden. If you fit the criteria, then you might get some or all of your student loans discharged in bankruptcy. The test considers that every situation is different. Three factors are considered in determining hardship. 1. Trying to Repay Loans. The courts must see that you’ve tried to repay the loans. Maybe you tried to negotiate a payment plan or paid regularly for several months. The courts want to see that you’ve tried to repay the loans. 2. Unable to Pay Because of Extenuating Circumstances. In short, extenuating circumstances are beyond control. It means some situation you can’t control is preventing you from repaying your loans. Maybe you’ve developed a physical disability that prevents you from working. Or perhaps you’ve been diagnosed with a mental illness that affects your ability to work. A common claim, such as the job market is slow, isn’t an acceptable circumstance. 3. The Situation Remains the Same. The circumstances causing your hardship must be continuous. You need to show that the situation will not improve anytime soon. Contact a skilled bankruptcy attorney to help with your case. A Columbus bankruptcy lawyer can give you more guidance on getting your student loans discharged. You’ll have to file for bankruptcy, but only after you’ve tried to repay your loans. Contact the lender and ask about a payment plan or other payment options. A bankruptcy filing will remain on your credit report for 7 to 10 years. Speak with a skilled bankruptcy attorney before making your final decision. 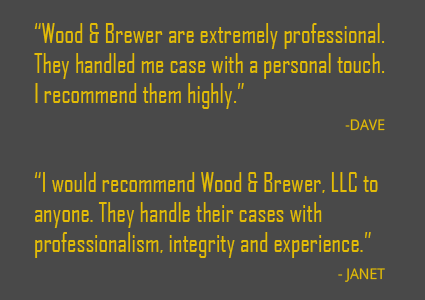 Contact our firm to learn more. Our Columbus bankruptcy attorneys are here to help!